Hi, I'm new to Maxthon, just installed it this week and I do love it, I have made it my default browser after trying it for a couple of days, though I am missing a couple of things that were/are available on Firefox and Google Chrome. One is a Facebook translate tool, which adds below any comment made in non English, a line that says translate or translate this, I forget exactly, but it works great, and something I would really like to see added. Another is related to Pinterest, yes there is an extension for Pinterest, BUT in both Firefox and Google Chrome, they have one which allows you to right click on an image and then you can select to pin it to Pinterest. The Pinterest button doesn't always work (specially in Facebook). I was hoping to be able to capture a screenshot but every time I try the pop up disappears. Hopefully these can be done. 1. Translate Selected Text ; 2. Translate Page. 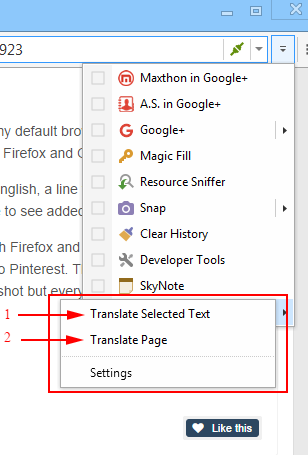 You can choose from several translation engines with the Settings option. I think a WOT (Web of Trust) extension would be good. 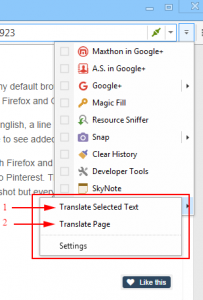 It's not quite exactly what you want but this extension http://extension.maxthon.com/detail/index.php?view_id=340&category_id= has WOT built in. Thanks, I used Flager for a couple of years but it doesn't seem to work well with recent versions of Maxthon (including Mx v4.4.8.1000). Before that I ran Maxthon Flag. Flager is the most recent but hasn't been updated since November 2013. The Comodo extension looks interesting. Possible to make a Chomecast type Extension? 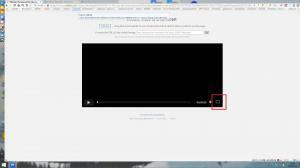 Add it to your Favorites Bar and click on it when a video is on the page. Unfortunately I can't check this cuz I don't have Chromecast . 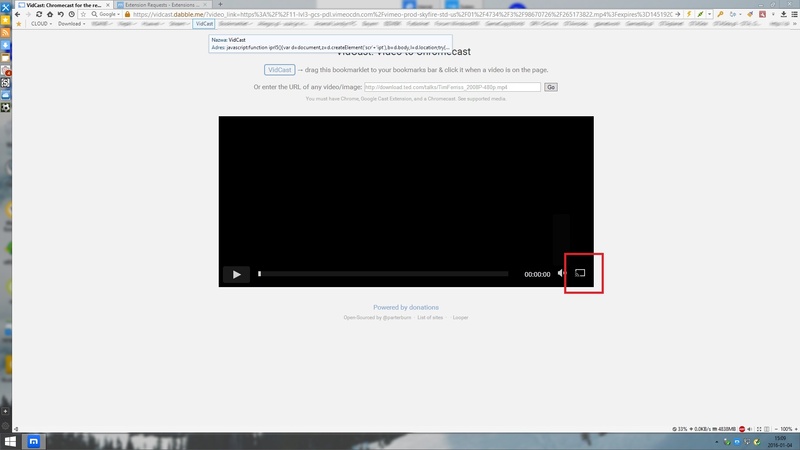 I've got chromecast but haven't got it to work yet, but I'll give this bookmarklet a try!